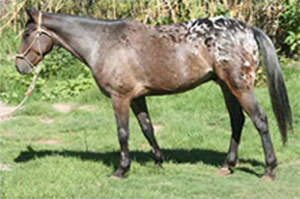 A 7 yr appaloosa gelding. A lovely safe ride with blanket markings. Very easy to work with and has no vices. Been used as a lead horse to lead our young unbacked horses. Totally bomb proof horse for the whole family.